Confused about the Middle East? This course is for you. 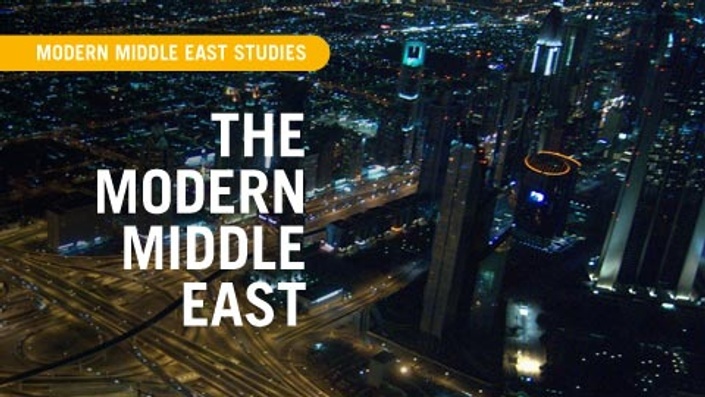 In this course, students will develop an understanding of all things “Middle East.” They will be able to recognize the similarities and unique differences in the nations, cultures and tribes of the region while focusing on the rich diversity of this vital part of our world including the interplay of religion, politics and economics as they pertain to the international stage. David L. Johnston is an Adjunct Assistant Professor of Islamic Studies at Fuller Theological Seminary and a Visiting Scholar at the University of Pennsylvania. He served for sixteen years as a pastor and teacher in Algeria, Egypt and the West Bank. His research focuses on the intersection of Islamic law and theology and on Muslim-Christian dialogue. He is the author of Earth, Empire and Sacred Text: Muslims and Christians as Trustees of Creation (London: Equinox, 2010, paperback in 2013). His forthcoming book is Justice and Love: A Muslim-Christian Conversation (Equinox, 2017). He blogs on his own website, www.humantrustees.org. Carl Medearis is an international expert in the field of Arab-American and Muslim-Christian relations. He acts as a catalyst for a number of current movements in the Middle East to promote peace-making, as well as cultural, political and religious dialog leading toward reconciliation. He is the author of the acclaimed book on these issues, Muslims, Christians and Jesus. Carl, his wife Chris, and three kids lived in Beirut, Lebanon for 12 years. Through their unique and strategic approach around the Arab world, they encouraged university students, business professionals and political leaders to live their lives by the principles and teachings of Jesus in order to change their societies and nations. Today Carl spends much of his time working with leaders both in the West and in the Arab world with the hope of seeing the Arab Middle East and the West experience full and fruitful relationships through the life and teachings of Jesus of Nazareth. What should you expect to get out of this course? What is the format and length of the course? This course has seven sections. Each section contains reading assignments, a series of video lectures, supplemental resources hand-picked by the instructors (videos, blogs, PDF downloads, and more), and response questions to journal or process in small group discussion. The course is a completely self-paced, online course. Some have completed the course in as early as 7 weeks. What materials will I need and will I have access to the lecturers? All you will need is a computer with internet access, and access to the recommended books. Unfortunately, the lecturers are not available to interact or answer questions. Our suggestion would be to dialogue with a group of people going through the course, and to seek out a local practitioner. Special pricing is available for groups of 10 or more who are going through the course together. Click here for more information.